The flexibility you’ve been waiting for. Workflow dashboards are available by type or specialty. This includes: Radiology, Cardiology, Surgery, Anesthesia, Avian, Beef Cattle, Behavior, Chemotherapy, Dairy, Dentistry, Dermatology, Emergency, Equine, Exotics, Food Animal, Holistic, Internal Medicine, Laboratory, Microbiology, Neurology, Nuclear, Nutrition, Oncology, Ophthalmology, Pharmacology, Poultry, Preventative, Rehabilitation, Reptile, Surgery, Swine, Theriogenology, Toxicology, Welfare and Zoological. 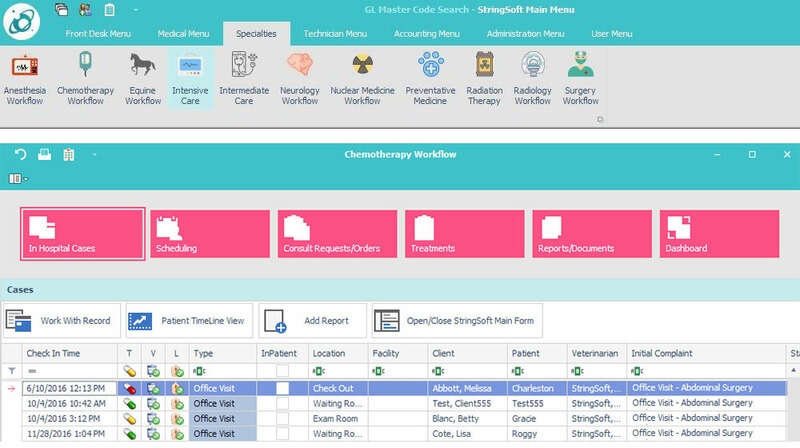 The workflow dashboard allows for workflow simplification and the linkage of flexible appointment scheduling in addition to regular appointment scheduling. 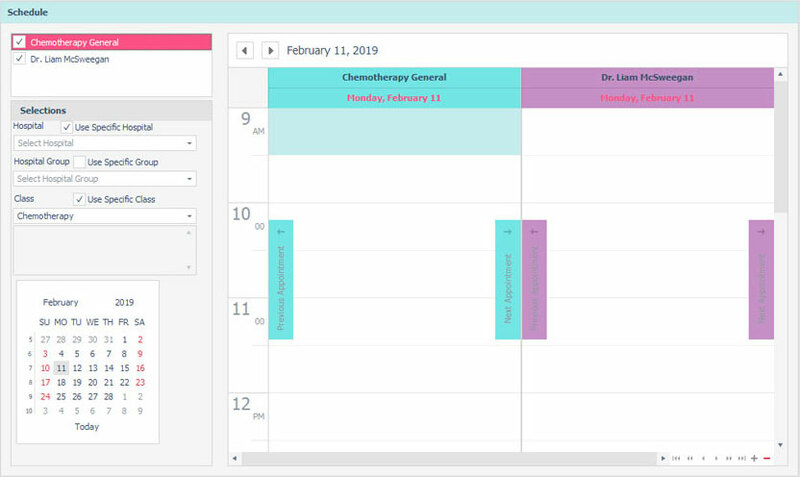 Grid View Appointment Scheduling is available when you have a large number of staff and want to be able to sort and filter the list of available and booked appointments which creates greater efficiency and transparency. Use the Outlook Style Appointment View when you want to synchronize your appointment schedule to Microsoft Outlook or other mail service providers. Grid View and Outlook Style View are available for both small and large teams.